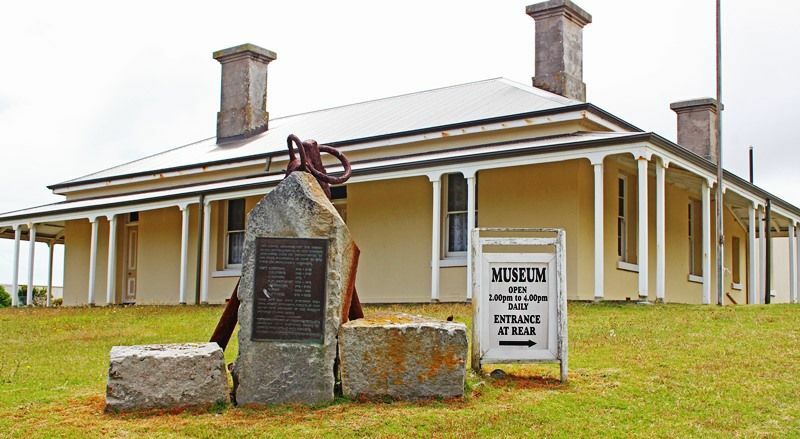 The monument commemorates the Superintendents of the Cape Wickham Lighthouse who served at the lighthouse from 1861 until 1920. 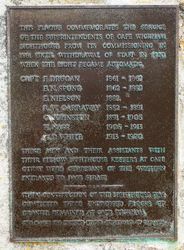 This plaque commemorates the service of the Superintendents of Cape Wickham Lighthouse from its commissioning in 1861 until withdrawal of staff in 1920 when the light became automatic. These men and their assistants with their fellow lighthouse keepers at Cape Otway were guardians of the western entrance to Bass Strait. When construction of the lighthouse was completed, these undressed blocks of granite remained at Cape Wickham. This plaque was provided by the Government of Tasmania.